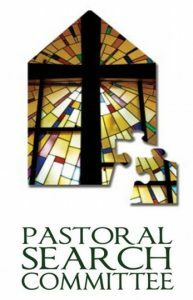 Members of our Pastoral Search Committee will host a Q&A session after worship on January 27 in the Community Room. Members will explain the Search and Call process that they will be engaged with this spring, as they review the profiles of prospective candidates and then schedule interviews. So plan to drop in the Community Room, ask your questions, and stay informed about the Search and Call process.